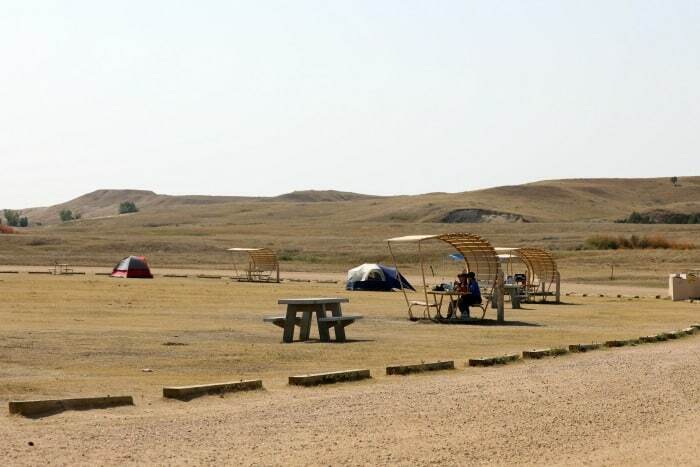 The Sage Creek Campground in Badlands National Park is a primitive camping experience. You will not find much for amenities except for a picnic table and a vault toilet. 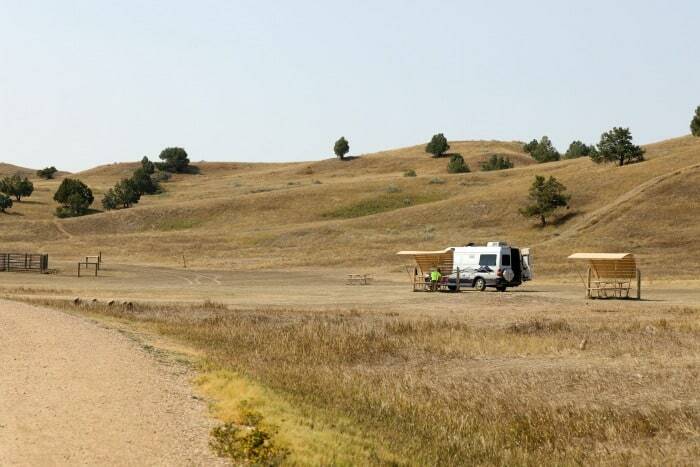 Don’t expect WIFI, cell phone reception, there is no water and the 10-mile dirt road (Sage Creek Rim Road) is typically washboard and rough. Spring rains and winter snows can close the road temporarily. The great news is that the campground is free of charge and rarely fills up. We saw lots of prairie dogs in the campground and saw Bison just outside the campground. 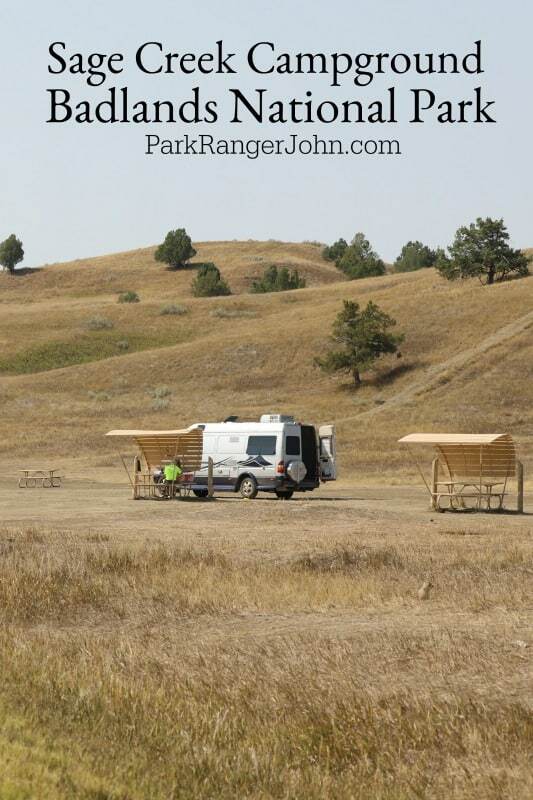 If you are looking to get away from crowds and enjoy amazing night skies this is the campground for you! 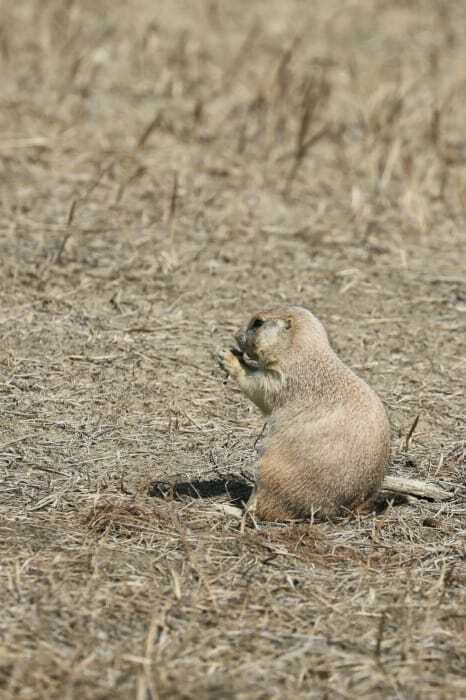 There is a small Prairie Dog town right near the entrance to the Sage Creek Campground. Be careful walking and make sure to check for holes and divets in the ground. 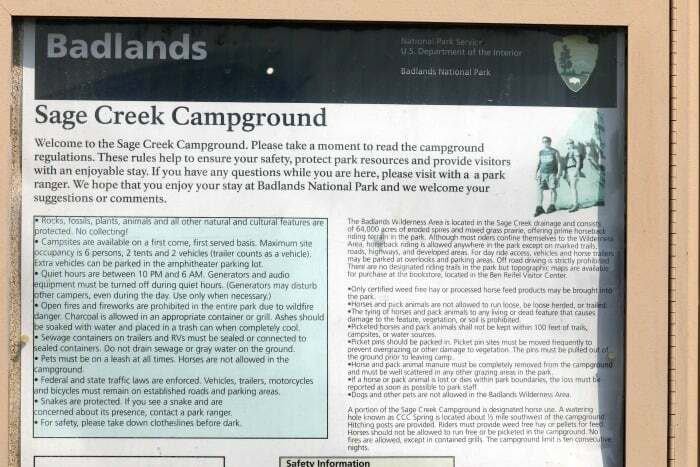 A portion of the Sage Creek Campground is designated horse use. A watering hole known as CCC Spring is located 1/2 mile southwest of the campground. Hitching posts are provided. Riders must provide weed-free hay or pellets for feed. 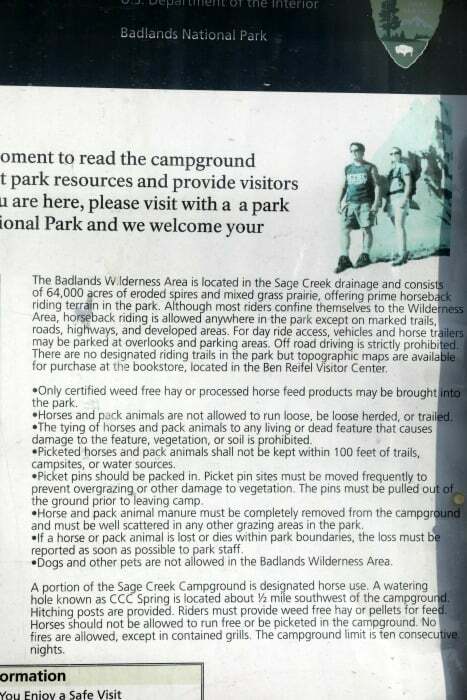 Horses should not be allowed to run free or be picketed in the campground. No fires are allowed except in contained grills. Maximum of 6 people, 2 vehicles and 2 tents per campsite. 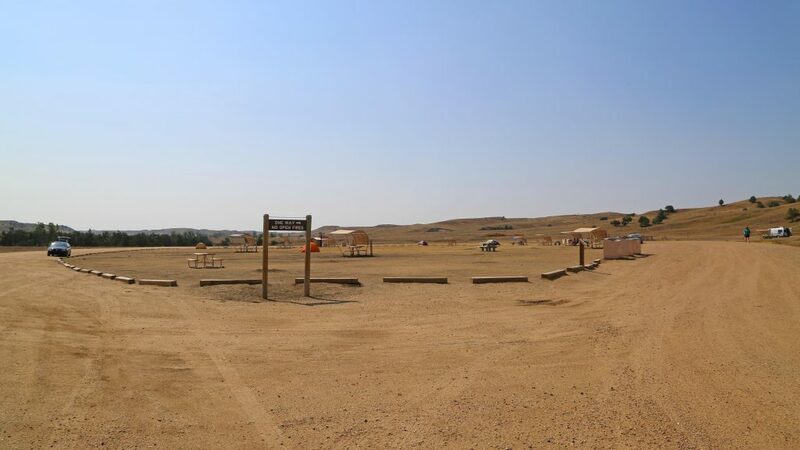 The campground limit is 10 consecutive days.